Like lots of things, it’s likely that chips were invented more than once by different people in different places. 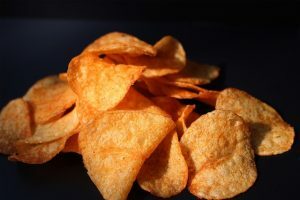 While recipes for potato chips had appeared in English cookbooks as early as the 1820s, the most popular story of their origin begins decades later, in the 1850s. According to this story. a customer at a restaurant repeatedly returned their order of french fries to the kitchen, complaining that they were too thick and/or too soggy. The exasperated chef, at wit’s end, cut the potatoes paper thin, fried them to a complete crisp, and doused them in salt. 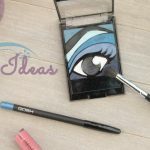 Rather than producing what was presumably the intended effect, the obnoxious customer loved them, and the rest is history. Today, potato chips represent a multi-billion dollar trade and make up about 1/3rd of the savory snack market. The inventor, Ernest Hamwi, was selling waffles. Business was better for his ice cream selling neighbor, who had run out of dishes to serve his popular fare. Hamwi folded up one of his waffles, and stepped in to fill the gap. And the waffle cone was born! 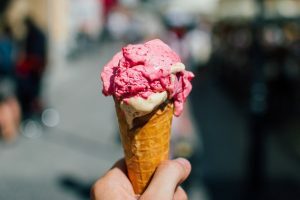 The flat-bottomed ice cream cone was invented around the same time but in New York. Two different entrepreneurs were awarded patents in 1902 and 1903 for machines that create flat-bottomed biscuit cups for ice cream. The turn of the century was just the time of the ice cream cone! Even in a world of video games and streaming online video, there’s a certain kind of meditative fun that can only be got by watching a slinky walk itself down a set of stairs. Cssshk, csssshk goes the slinky! Blissful. Like many great inventions, the slinky was created by mistake. 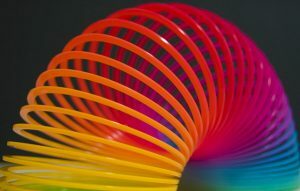 The inventor of the slinky, Richard James, was a mechanical engineer who was actually working on a copletely different project. He was investigating the use of sensitive steel springs to keep naval equipment balanced on rough seas. After bumping one, he watched it gracefully flop down the floor, and an idea was born. The slinky had arrived. 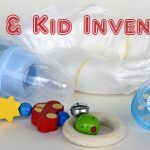 These clever devices are an innovative solution to a problem half of us have had for pretty much ever. This invention is a good example of a technology that comes about as a result of other unrelated inventions, like silicone. 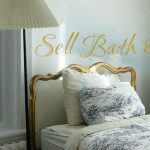 The result: an environmentally friendly, safe and affordable feminine hygiene product. 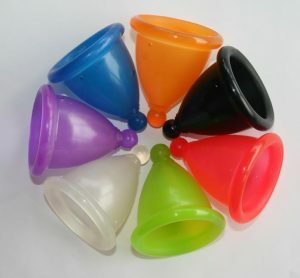 They last for years, too, making them more economical than their disposable counterparts. In some places, people have to travel significant distances to collect water. Obviously, in that situation, you’d want to make as few trips as possible, and carry as much as you could. Traditionally, the solution was for people to carry jugs of water on their heads. But this is difficult, it limits the amount of water one can carry, and it can lead to neck injuries. Enter the water roller! Developed by Hippo Roller, the water roller is a simple device: a cylindrical drum with a long handle. The roller can be filled with water and pushed or dragged, allowing people to carry much more water than they otherwise could. 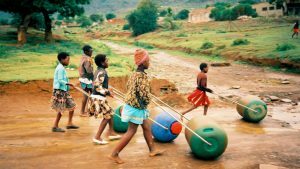 The water roller is a great example of appropriate technology. It saves effort, saves time, provides a safe storage space for the water, and reduces physical strain. 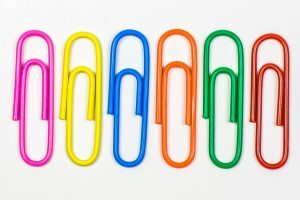 I bet you don’t even know anyone who doesn’t use paperclips at least a few times a year. The most common paperclip design is called the Gem design, and was developed in the 1870s. But the original paperclip patent was issued in 1867 and was quite different from what we know today. Intended to fasten receipts to fabric, it was essentially a piece of wire cable bent into an x shape. Obviously, an x has some pointy edges. The Gem design, with its oblong loop, is much less pokey, and became by far the most popular choice for attaching sheets of paper together. Xylitol is a sugar alcohol similar to sorbitol or mannitol, but better because it’s a sweetener that’s actually good for your teeth. How sweet is that?! Derived from birch bark, xylitol is diabetic-friendly, low in calories, and helps to prevent cavities. It’s found naturally in many fruits and vegetables and looks and tastes like sucrose, or regular sugar. Except sucrose totally messes your teeth up, and this stuff is actually good for them! 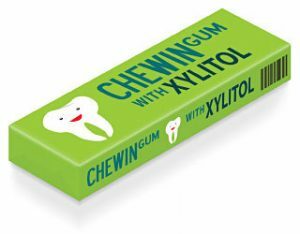 Gum sweetened with xylitol means chewing gum that actually helps protect your teeth. And that’s pretty cool. Do you think your invention could be the next world-changing product? Check out the product design and development services we’ve got going on over at Cad Crowd. 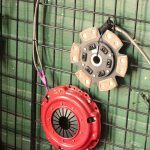 We’ve got a complete range of services for inventors, from patenting to prototyping.